Add luster and texture with the woven Silver Mesh Bracelet. 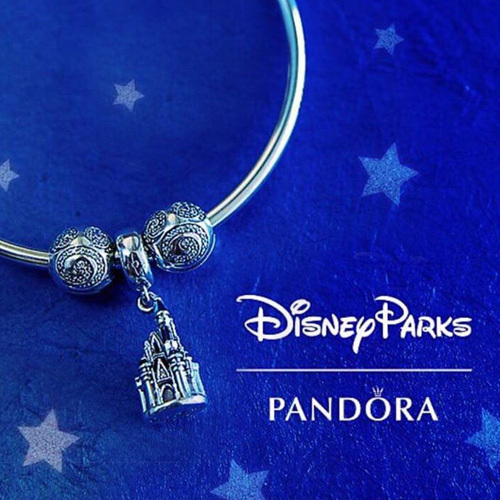 The stunning PANDORA Silver Mesh Bracelet started to appear in the official PANDORA photography in 2016, causing many PANDORA fans to wonder: “What is it?” and “When can I get it?”. 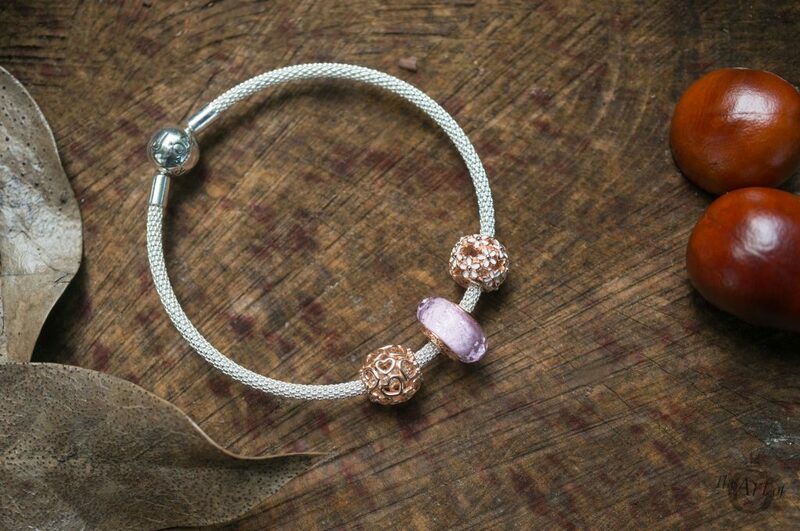 Finally, the anticipated PANDORA Moments Silver Mesh Bracelet (596543) was released along with the Autumn 2017 Collection! 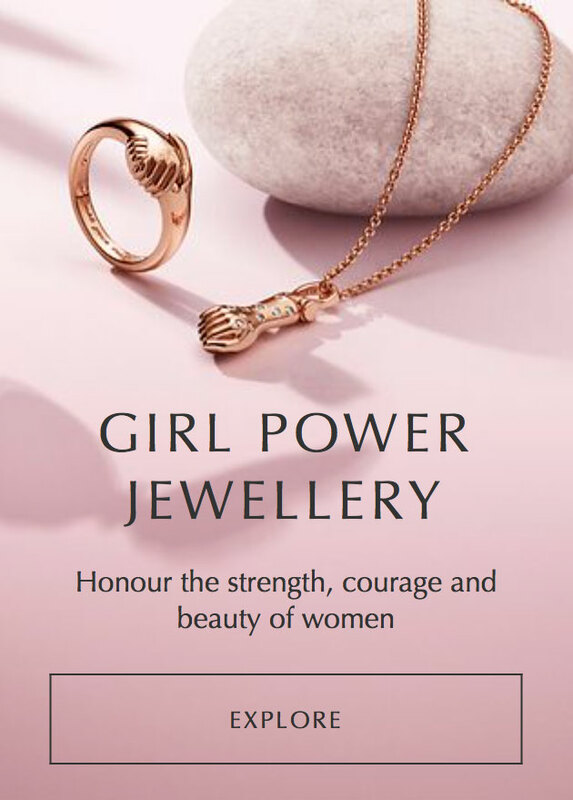 The PANDORA Moments Silver Mesh Bracelet will make a key addition to every PANDORA fan’s collection as it is distinct and contrasts wonderfully with the smooth silver or traditional Moments chain. 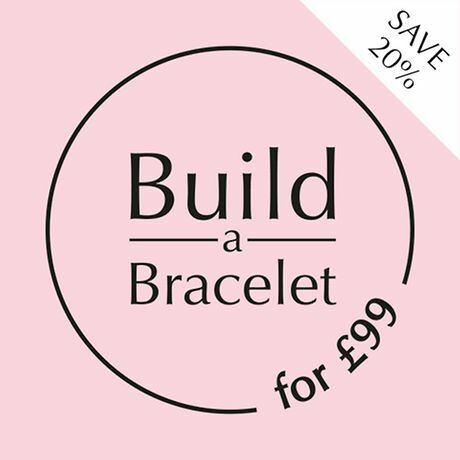 The Mesh Bracelet has fewer size options compared to other PANDORA bracelets and is available in: 17cm, 19cm or 21cm options. 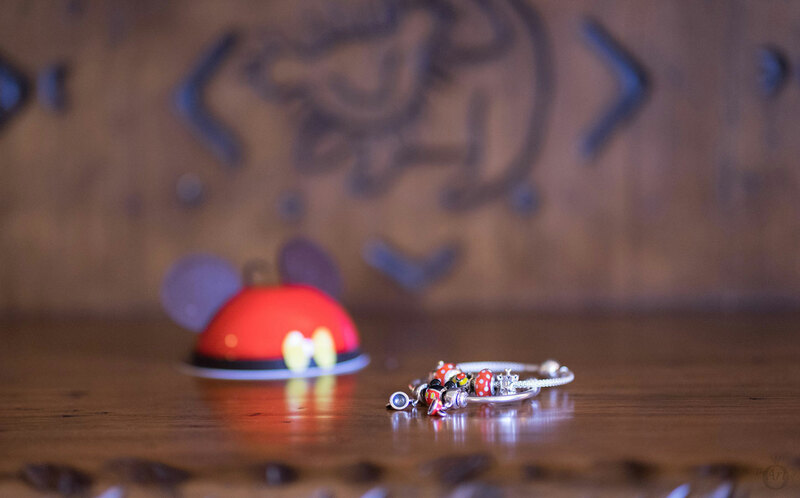 If you only plan to wear a few charms on the PANDORA Mesh Bracelet it may be wise to get a smaller size to your normal size for the standard PANDORA Moments Bracelet. 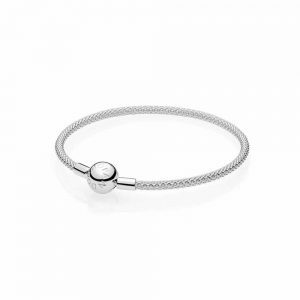 The PANDORA Moments Silver Mesh Bracelet has a classic round clasp with the PANDORA logo engraved on both sides. As with many of the recent PANDORA bracelet the Mesh Bracelet has smooth ends. 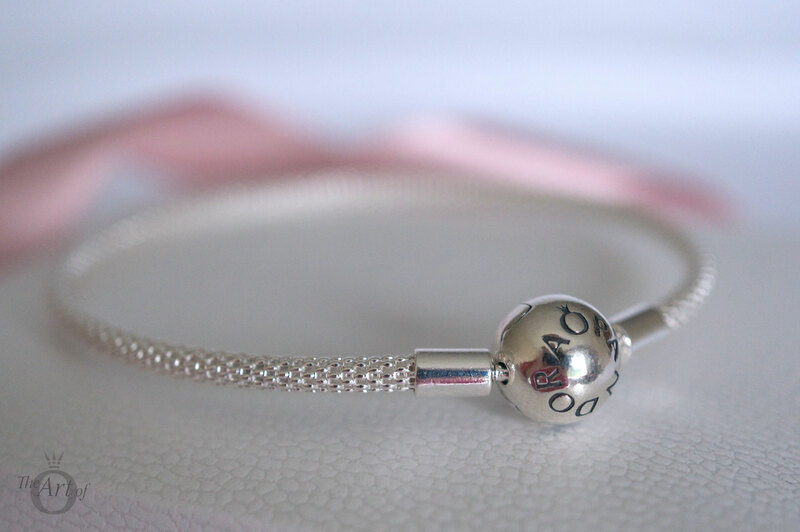 One of the benefits of a smooth end bracelet is that it is very quick to design or adjust your charms. Be careful when opening the bracelet to avoid the charms slipping off. 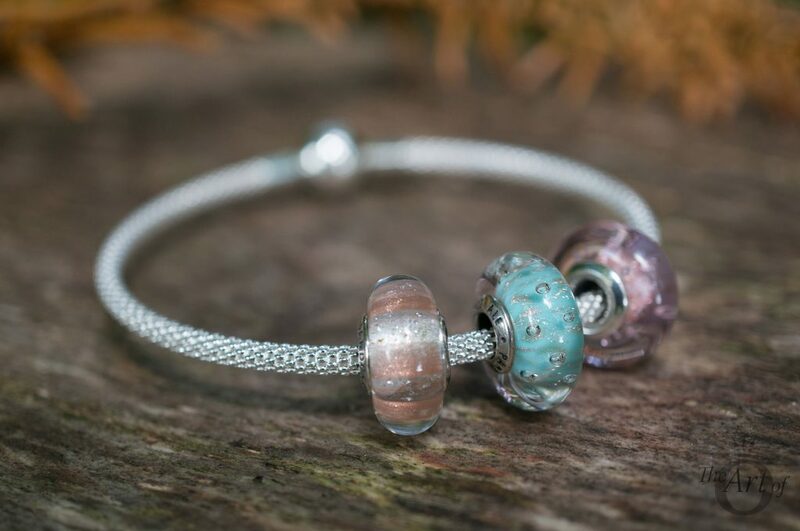 PANDORA clips can be worn on the Mesh Bracelet, to ensure the charms stay in place. As the circumference of the Mesh Bracelet is identical to the usual PANDORA Moments Bracelet, the normal PANDORA clips can be worn with it. 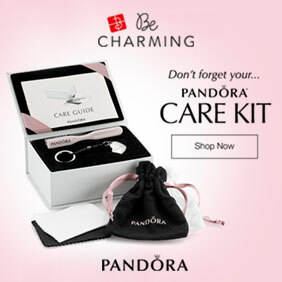 Choose from wearing either the PANDORA silicone clips or the standard PANDORA clips with a silicone insert placed inside. 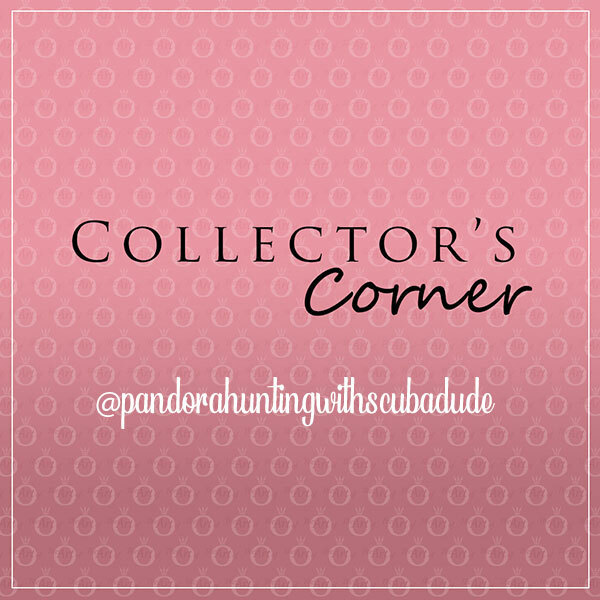 The silicone inserts can be purchased from PANDORA stores or bought online from Amazon. 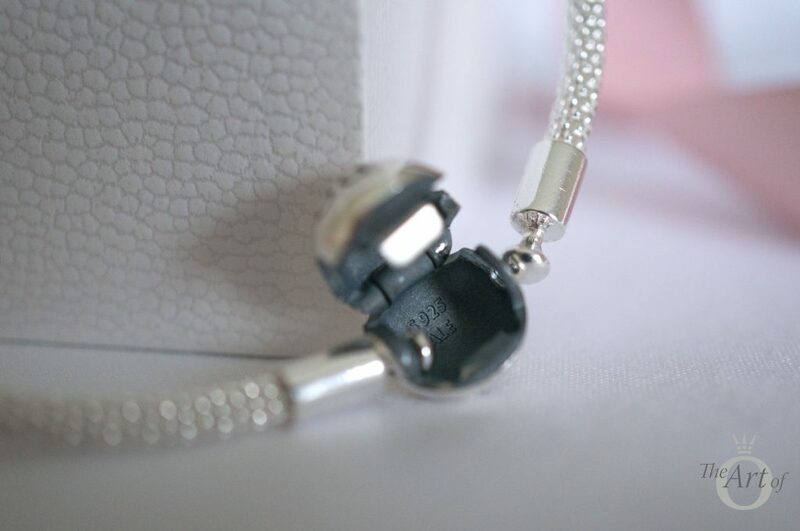 The typical PANDORA hallmarks, ‘S925 ALE’ are found on the inside of the Mesh Bracelet clasp. Remember, life’s too short to buy fake PANDORA! The textured woven metal mesh gleams brilliantly and almost looks like white gold! The design of the Mesh Bracelet makes it incredible lightweight and you hardly notice you are wearing it. 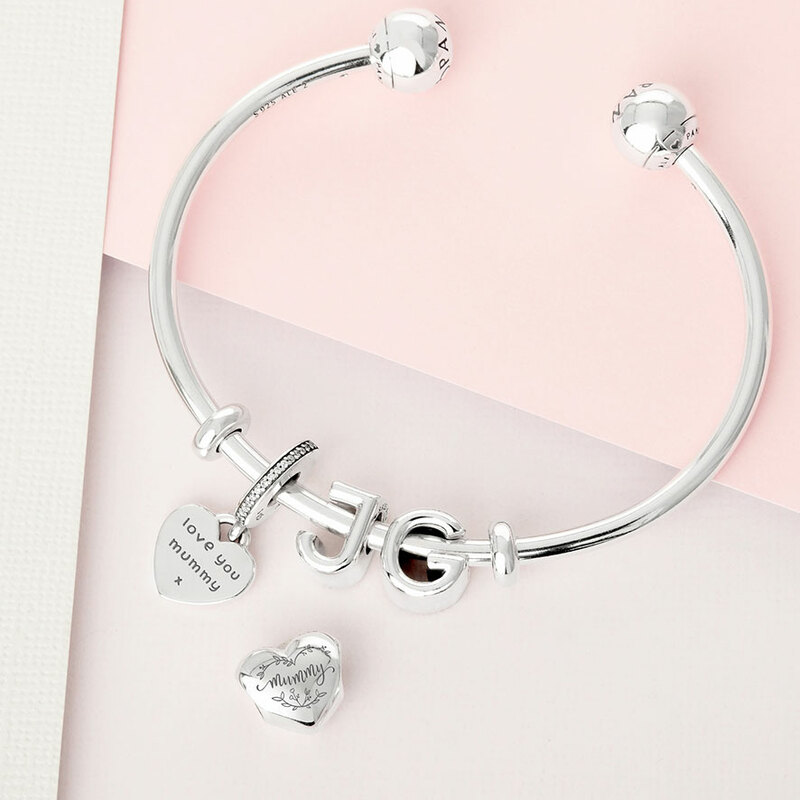 The Silver Mesh Bracelet is quite firm and structured and it preserves it’s shape, similar to the ‘memory’ technology used in the PANDORA Moments Bangle. 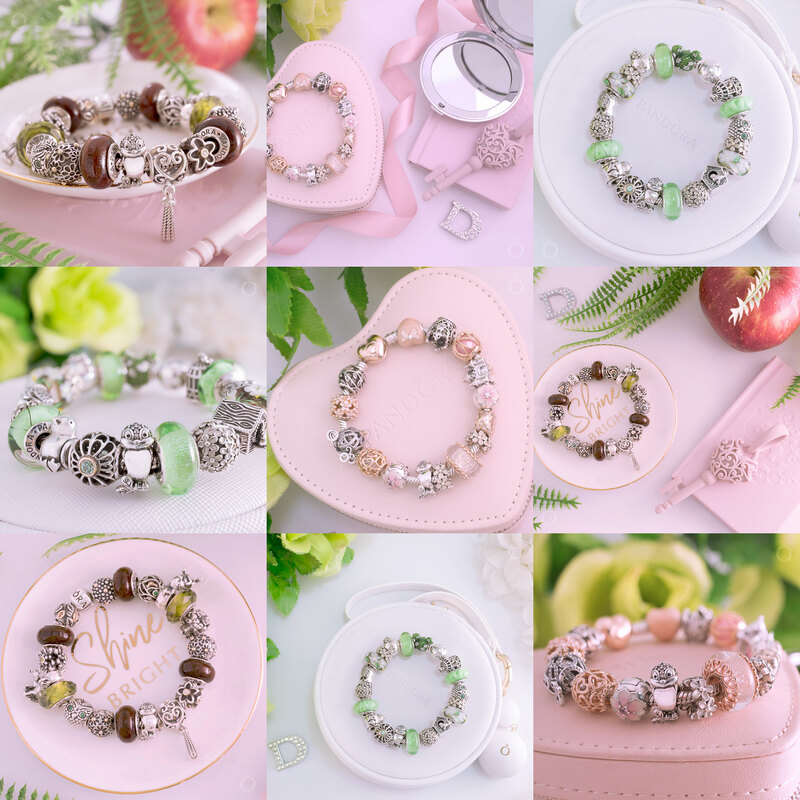 I decided to style the PANDORA Silver Moments Mesh Bracelet simply, using my current favourite charms. The result is effortless sophistication! 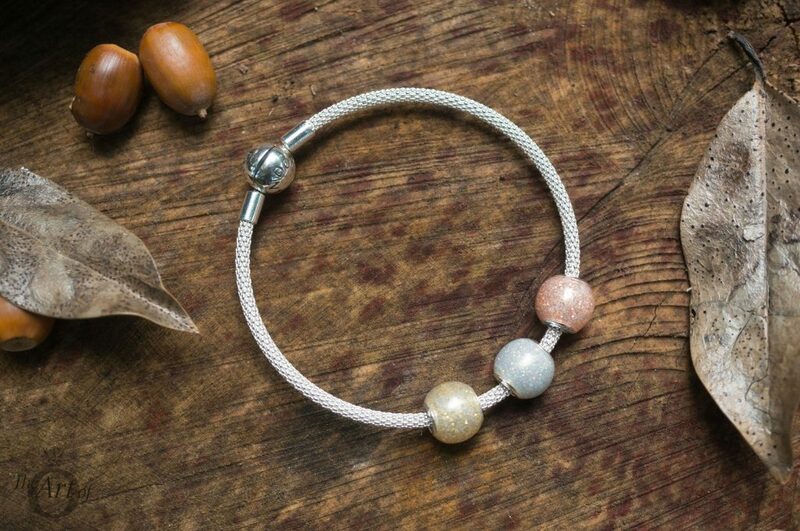 The PANDORA Silver Moments Mesh Bracelet works fantastically well as a way to showcase charms and add colour pops to an outfit. 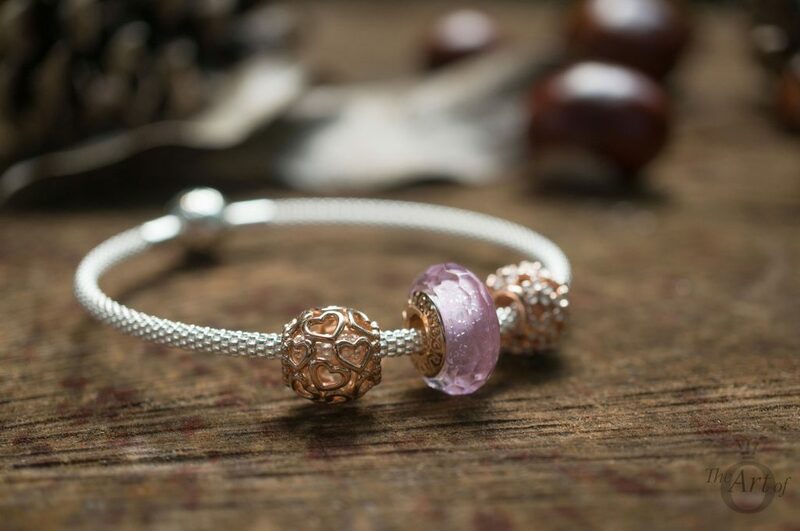 This season is all about playing with different metals and the Mesh Bracelet looks radiant paired with PANDORA Rose! My verdict on the Silver Mesh Bracelet? Sterling! 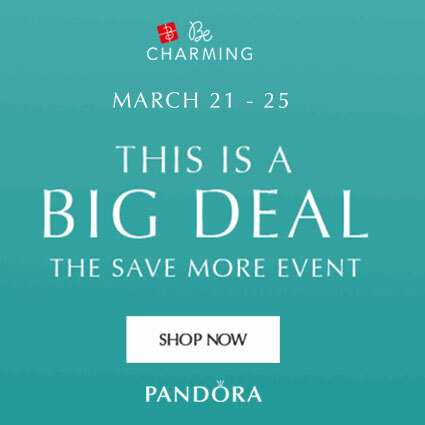 The PANDORA Silver Mesh Bracelet (596543) is $60 USD / £50 / C$ 70 / €55 and is available from our preferred PANDORA retailer BeCharming.com. Have you bought the PANDORA Silver Mesh Bracelet or is it on your wishlist? 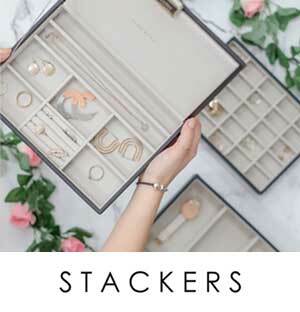 How do you style yours? Let us know in the comments below. Thanks, Dora, for reviewing the new Mesh bracelet and for sharing your lovely designs. I especially like the three muranos on this bracelet. I picked up the Mesh bracelet during the Spend/Save and love it. I think what caught my eye first was how white it appears. The new Radiant Teardrops and Geometric Radiance look great on this bracelet. The bright white color makes the clear stones even prettier. After seeing your review, I tried my Shimmering Stripe muranos with the Mesh and love the look….really brings out the shimmer! Icy blues would be stunning!!! Come on Ice Drops murano………. Thank you for your sweet comment! 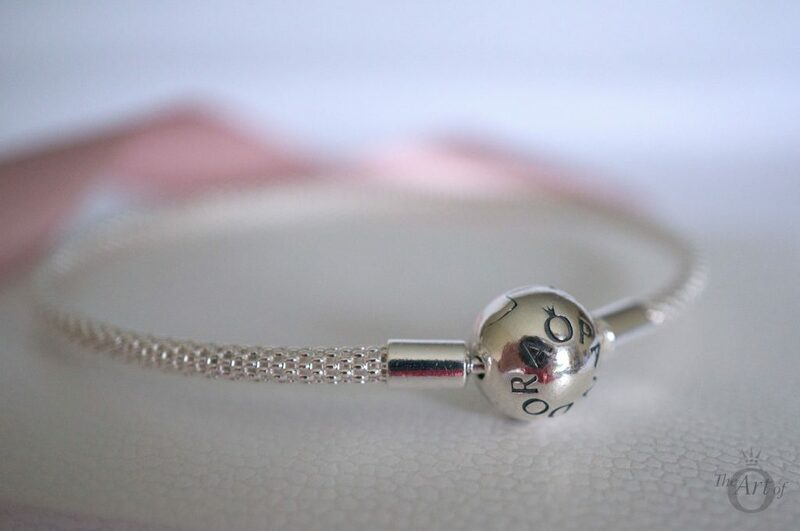 It is a really lovely bracelet and I think works well with a few charms on it. You are right, it will be gorgeous with icy blue colours! I guess it isn’t too long to wait until the Winter collection is out ?